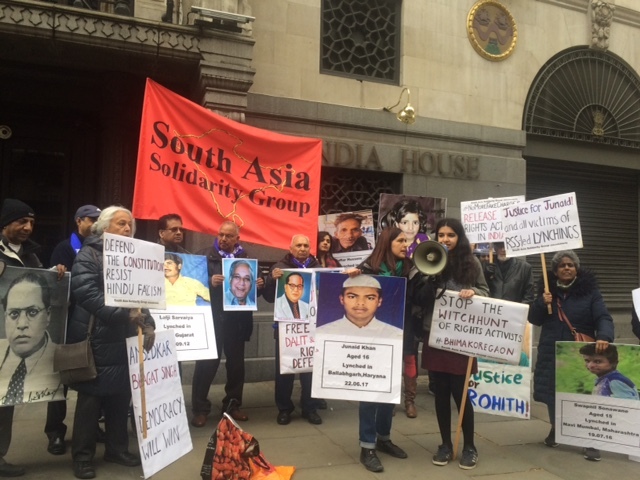 On 6th April South Asia Solidarity Group along with the School of Oriental and African Studies, (SOAS) organised a protest outside the India House in light of the upcoming Parliamentary elections in India. “Who killed Mohammed Akhlaq? BJP-RSS,” were among the few slogans chanted as members of the diaspora community gathered to oppose the ruling BJP government. 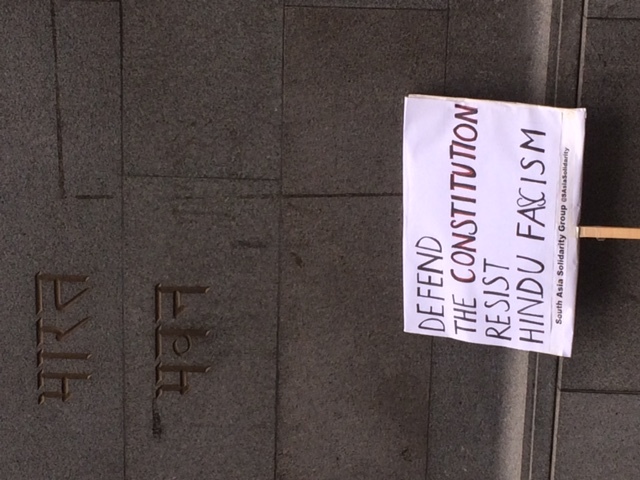 Citizens echoed their concerns around lynchings of Muslims, Dalits and Christians by RSS-led mobs, assassinations of dissenters, rapes and escalating violence against women and girls, the arrests and incarceration of human rights defenders and progressive intellectuals have indeed turned India into a republic of fear. The Parliamentary elections in India commences on April 11 and the results will be expected around May 23.